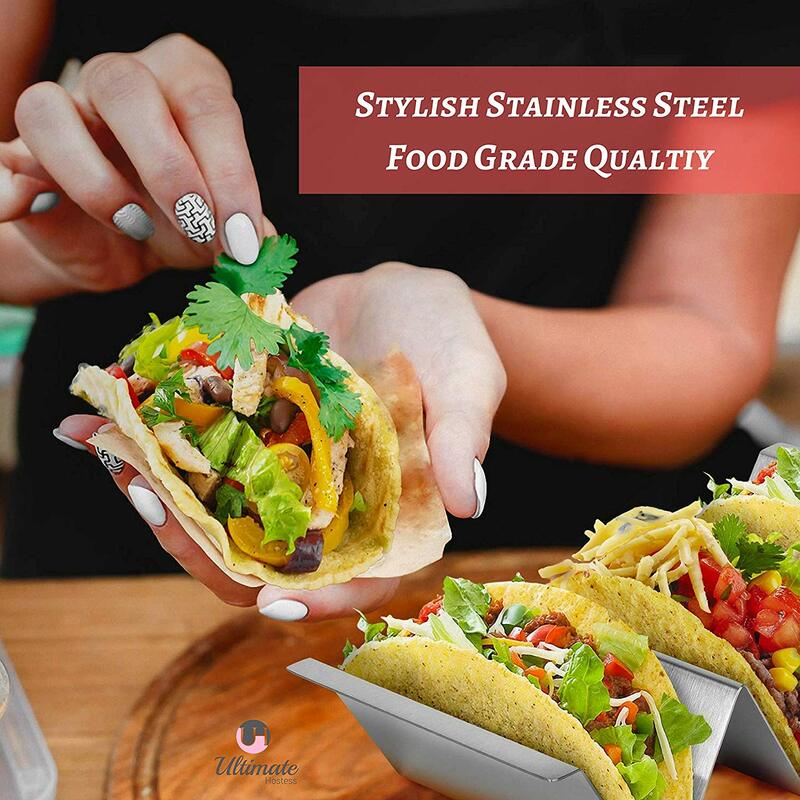 FREE AND CONVENIENT SERVING: These taco holders actually hold your taco allowing you to be hands free so that you can easily and neatly add all the ingredients to make your favorite taco. 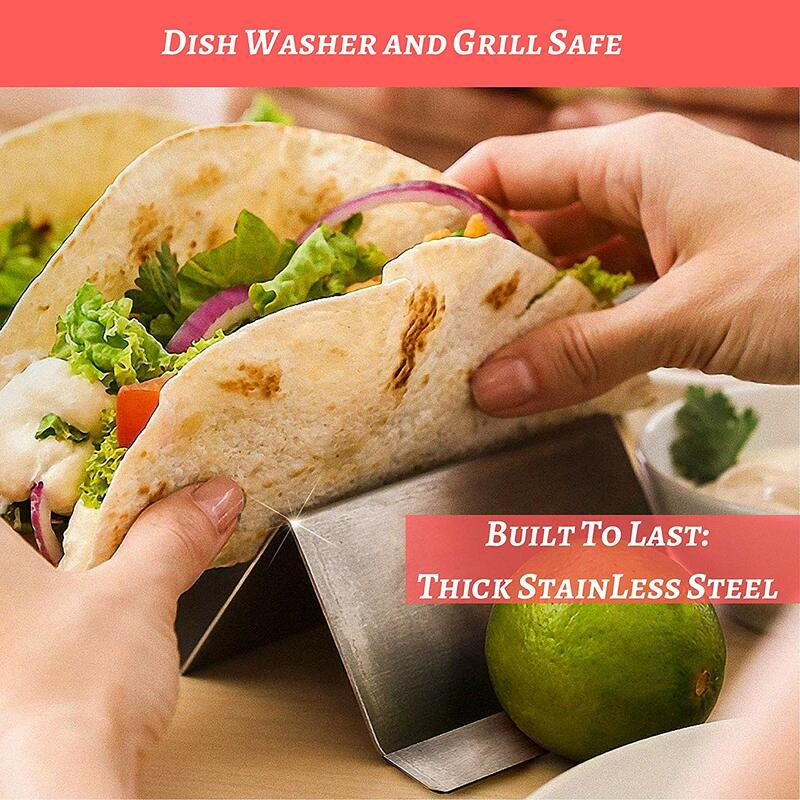 No more dealing with tacos tipping over making a mess and losing some of that yummy goodness you just added. 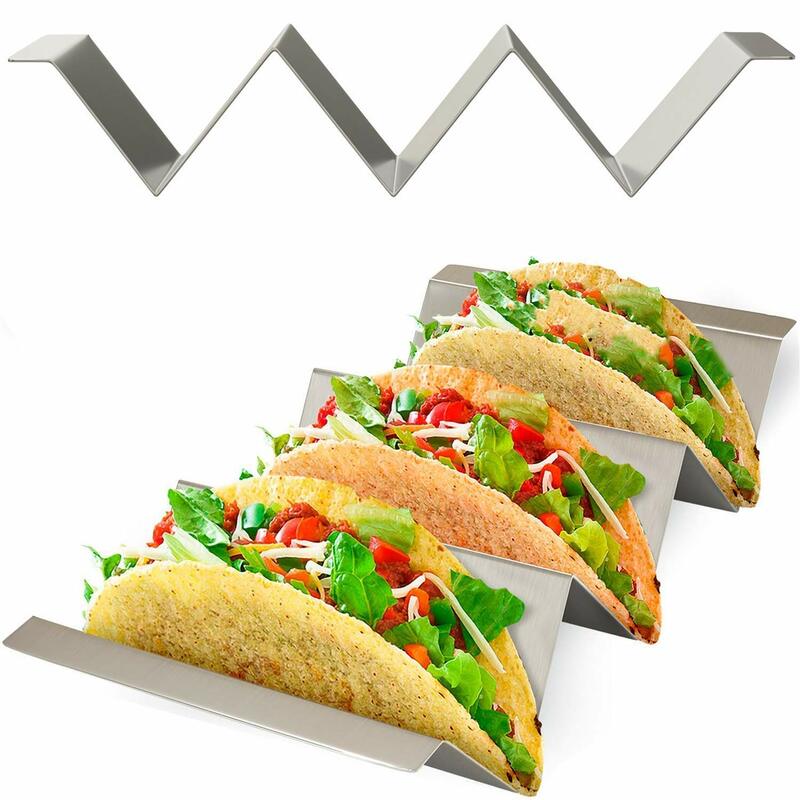 With 3 compartments per holder, you can serve multiple tacos at once. SIDE HANDLES MATTERS: Unlike other taco holders without these handles, these holders will never slip out of our hands. These unique side handles allow you to grip the taco holders securely and mess free. So easy to carry, you can even trust your kids with them. 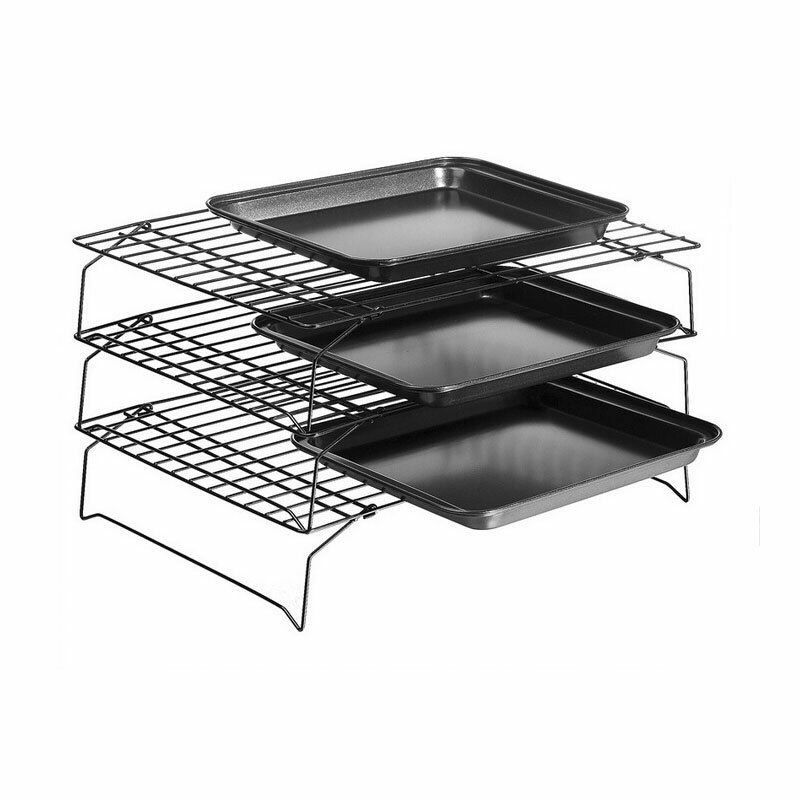 Even with oven mitts on when transferring from the hot oven to table or serving station to dining table is a breeze. 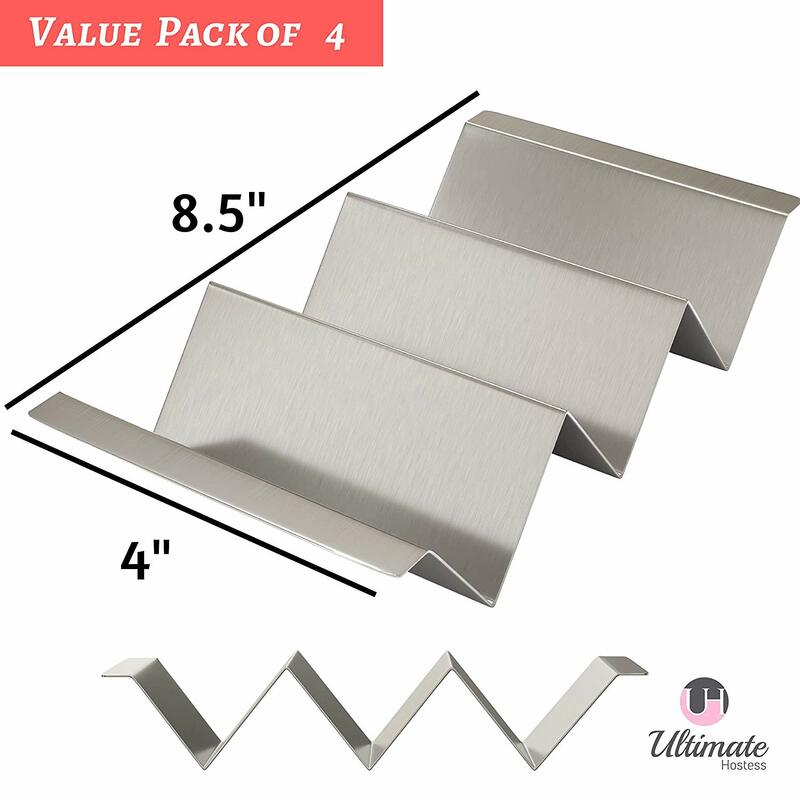 BEAUTIFUL DURABLE STAINLESS STEEL DESIGN: Made of high-grade stainless steel, these holders not only are super useful, they are durable too! Load them in the dishwasher for easy cleanup or pop them in the oven to crisp those shells - you\'ll be able to use them time and time again worry free. SERVE YOUR GUEST IN STYLE: Keep your food upright and looking scrumptious with this vertical design. Use it for your tacos or it even doubles as a great hot dog holder.They make a great addition to your dinner party or outdoor barbeque. 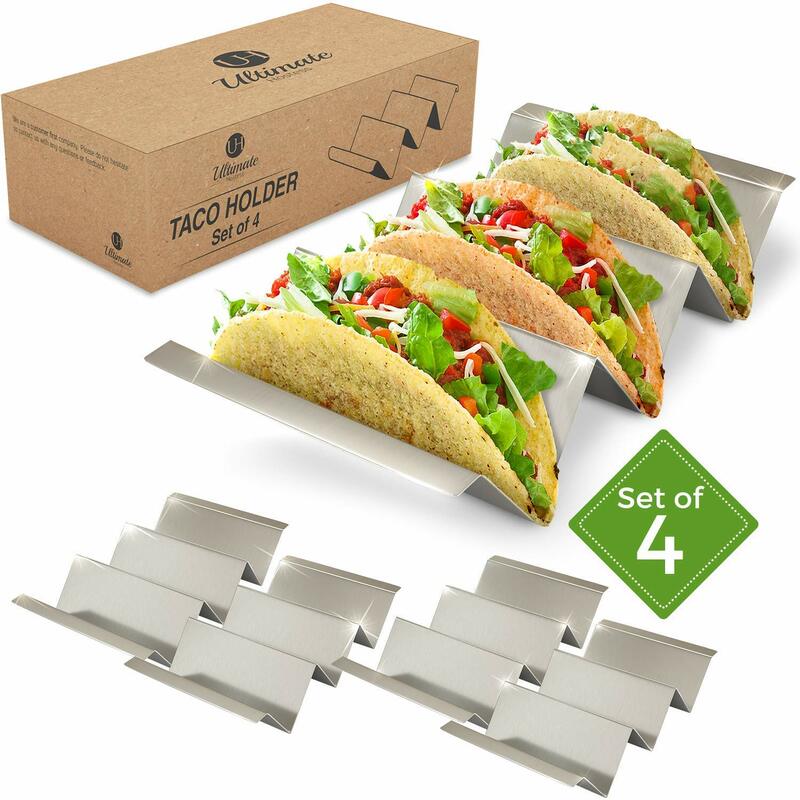 Adding these taco holders to your kitchen repertoire will make you wonder how you ever served tacos without them. 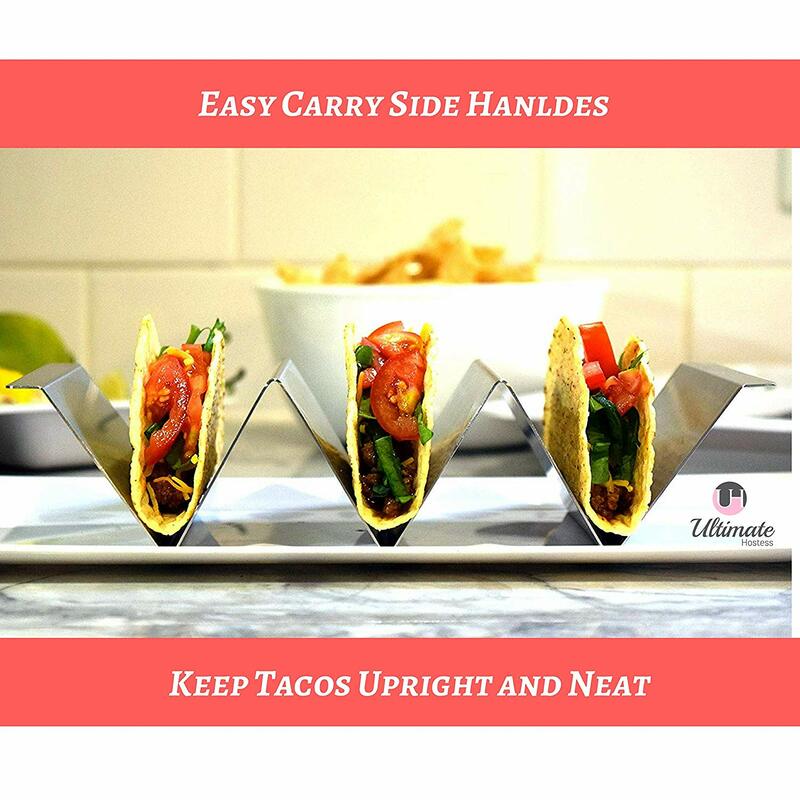 Say goodbye to tipping tacos and topping spills on your dishes; these taco holders literally hold your taco making serving a snap, allowing you to be hands free and ultimately making your food presentation amazing. Whether it be family taco night with kids or a Mexican bar for your Cinco de Mayo celebration, these accessories are one you won\'t want to do without. Your tacos with stand up with these divided server racks making eating and serving cool and fun.